Zaks highly skilled wedding hair specialists are available in-salon or at your wedding venue to pamper you, your family and bridesmaids on your special day. Whether you dream of a classic chignon, Hollywood glamour with a modern edge or cascading curls… we’ll make your wedding dreams come true. 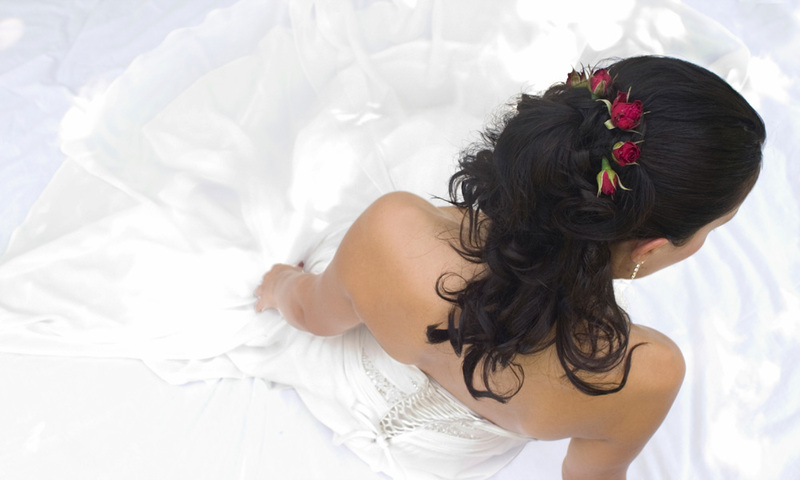 We start with a complimentary personal bridal hair styling consultation with one of our specialist wedding team. Why not bring any photos or images you like to help us picture the look and feel you have in mind? This is the perfect time to look at your colour, cut and condition of your hair. Beautiful hair doesn’t just happen. Book your consultation as soon as you can so you have the maximum time to grow your hair, plan any colour changes and get your locks in tip top condition. Enjoy a glass of fizz in our luxurious salons whilst we make you and your family and friends look and feel fabulous. We are able to visit your wedding venue on request – please let us know us as early as possible so we can ensure our wedding team is available for your big day. We recommend you wash your hair the night before your trial to make it more manageable. If you’re wearing a tiara or veil then bring this together with any accessories so our wedding specialists can create your complete bridal look and leave nothing to chance. If you need more length or volume we can add hair extensions to finish the look. And if you’re thinking about a change of style for the evening of your wedding let’s talk about it now and we can create two looks for you. Zaks wedding specialists are also available for your whole wedding party. Again, your family and friends can visit us at the salon on the day or we can send a team to your wedding venue. Just let us know what you’d like and we’ll ensure it happens. Let’s not forget the Groom. You want him to look his best too. Zaks offer a full male grooming service – hair cut and colour, men’s manicure and pedicure, facials and waxing.